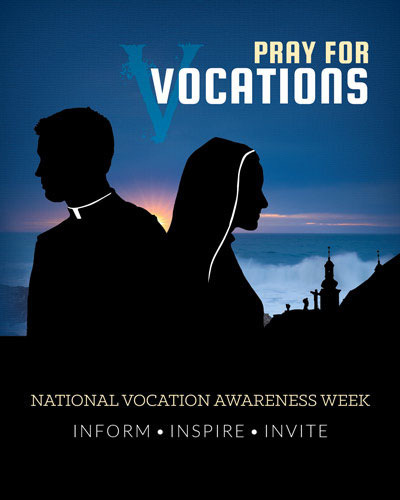 The United States Conference of Catholic Bishops (USCCB) announced that the 2018 National Vocation Awareness Week would be from November 4-10. 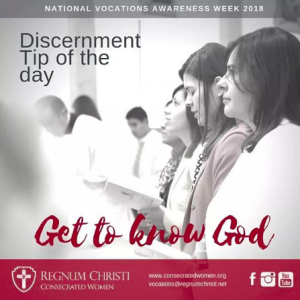 Regnum Christi members all over the North American territory have been participating this week through providing discernment tips, praying for vocations and sharing vocation stories. Please join us in a prayer for vocations. O sincere and humble Saint Serra, we ask for your intercession that those called to serve our Lord through priestly and religious vocations might do so with the same obedience, zeal, and humility you exhibited as a priest, brother, teacher, and spiritual father. We ask this through Christ, our Lord. Amen. In answering a question as big as this it’s sometimes helpful to hear how others have responded to the same question and how they heard God’s call. So, we’ve included a testimonial from each of the four vocations within the Regnum Christi spiritual family below.